The room is a sublease and is only available for two months: end of May to the start of August. The house is pretty old but the room you’ll take has plently of sunlight so I have a few plants, nice and big aswell, the house has air conditioning in the lounge aswell as a gas fire place in the lounge, 1 bathroom and 1 toilet inside and one outside, a small back yard and chill out area. 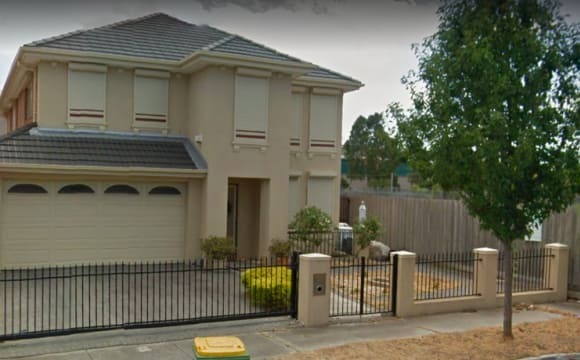 Me and my Great Dane have just been approved for this great little place in West Footscray! We’re looking for a housemate to build a quiet little home - dog owners preferred! I’ll update photos and let you know more about the quirks once I’ve moved in, in a week or two. 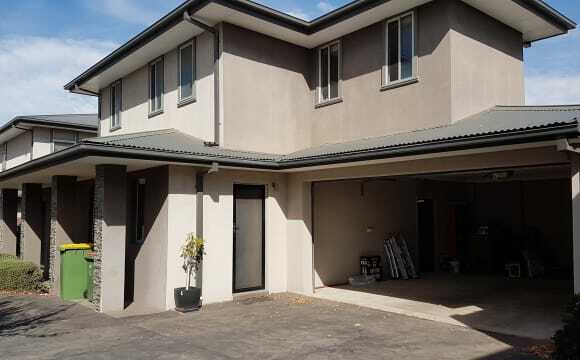 This is an older house with a very secure yard and colourbond steel fencing. It’s a fairly quiet street with a bit of off street parking and easy street parking. The bedrooms are carpeted, and the rest of the floors are wood, tile, or vinyl. The kitchen is weird but spacious and has lots of storage. I’m getting an island for it so there will be heaps of prep space. The bathroom is modern. There’s a bus stop right out front that goes to Footscray station and the city, and it’s not too far from Tottenham station. Coles and Aldi are easy walking distance. The property is a comfortable 3 bedroom property to be shared with myself and my dog. I am a friendly, respectful, clean and thoughtful person. I am happy to chat over a meal, a glass or two of wine or binge watch a series on Netflix/Stan. Love listening to music, podcasts, chilling with a book or walks with my pooch. I am seeking a professional to share the property. The available bedroom is currently furnished but if you are not seeking a furnished room, I am able to remove the furniture. The spare bedroom is used as my study but includes a futon couch for guests who may visit. 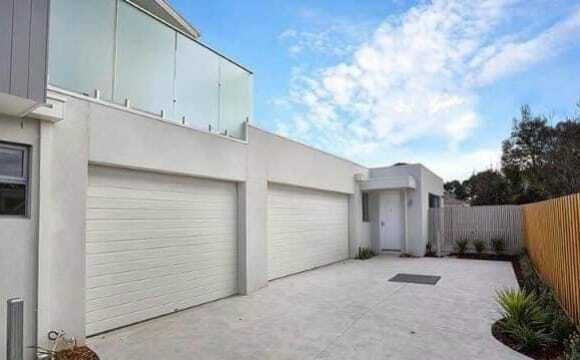 The property is close to parks (Johnson Reserve and Shorten Reserve) as well as public transport. There is a bus 3 minutes walk away and the train is a 20 minute stroll from the house. It's an easy commute to the airport (only 20 minute drive) and 8km from the city. The supermarket (Sims) is a 15 minute walk as is Barkly St. There are a few great cafes and restaurants within walking distance. Bills are not included but equate to approximately $85 per week (electricity, gas, water, internet, Stan TV). Once the appropriate roommate is found I will be seeking to hire a cleaner for a once a week clean (non-negotiable). I like to have a clean house but don't want the fuss of cleaning rosters, differing standards of cleaning and being too busy to clean. The house is perfect - it's one year old, the offered room and ensuite on ground floor, living space and balcony on level 1 and two small bedrooms and a bathroom on level 2. 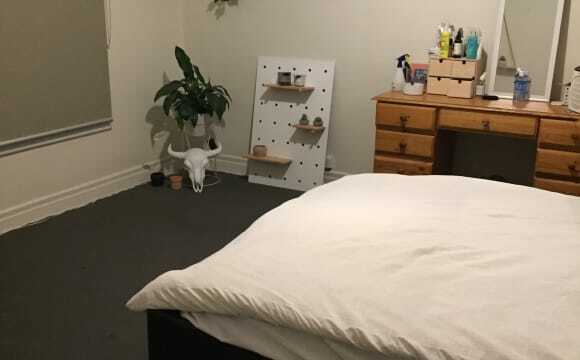 I have pretty much everything required for a house except a washing machine (which I will buy) but there is heaps of space if you have furniture. 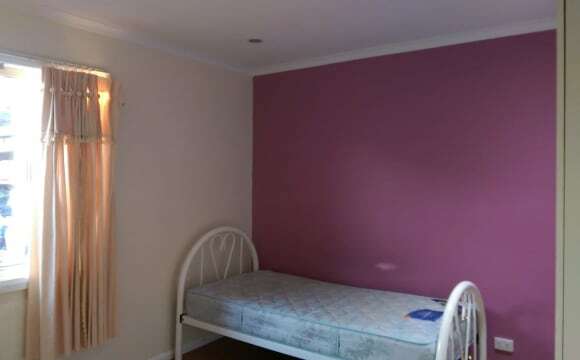 The room is unfurnished, but has a walk in robe leading through to the ensuite. There is a car space that can be yours if you need it. Across the road is a big park, and a complex with a swimming pool. There are some running tracks going through the park .The train station is just down the road or there are buses close by. I'm interested in finding 1 other person of a similar age, someone who is happy to socialise and maybe share a meal now and again but also keen on their own space. I don't want a party house but do want to be flexible with having friends over for dinner/drinks occasionally. Note - the furniture in the pics is not mine - I'm also moving in on the 11th May. The house is large, clean and well furnished. The bedroom has its own TV and a queen-size bed with a new, high-quality mattress. The kitchen is large and has plenty of cooking equipment. We have 2 friendly cats. The house is close to shops and public transport. I am only interested in a younger female housemate suited to living with an 11 year old girl (my daughter). You must be polite, considerate and good company, and not have any behavioural issues such as a bad temper or drug and alcohol problems. Ideally you wil be a good role model. The house is spacious, light-filled and in the ideal location close to the city – 10 minute walk to station and shops. The house itself, is furnished. It has 3 bedrooms/ 2 bathrooms and 3 toilets (as well as standard kitchen/ living area and small back yard). 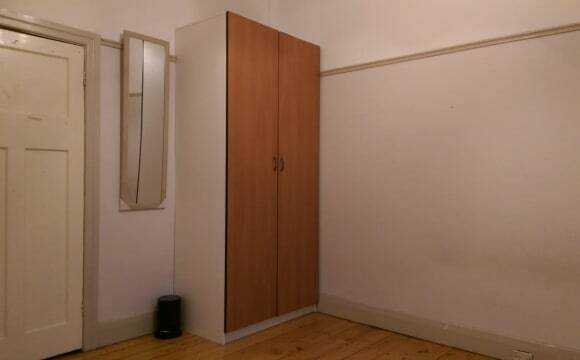 The spare room (unfurnished) is big, bright, and comes with built-in robes. You would also be sharing the main bathroom with Michelle. Amanda currently occupies the garage space, but there is also plenty of on street parking (no permit required). Amanda and Michelle. Casting calls now open for a new housemate! Looking for someone to join two film-creative best mates in our Display Home in West Footscray…(not really, but it is VERY nice and we love it! haha) Perks of the role: You'll get your own room, unfurnished but with a large built-in mirrored wardrobe with drawers, plus aircon heating/cooling. Main bathroom would be shared with one other guy (clean, works weekdays and leaves early-ish in the morning). Space can also be made in our garage for a car. The rest of the house is pretty well set up! Rent is $789 a month each before bills, which come through every now and then. We split all bills and anything shared in thirds. The house will be available from May 15th and the bond which is $1,070 each has been taken care of for your part. Must be comfortable with soft toy pigs…you’ll know what we mean... If accepted by us, you'll need to also apply with our Agents, meet them and will be ‘credited’ on the lease ;) But first, we’d love to meet you! This home is LGBTQ+ friendly! Convenient access to transportation: - 216/219 bus stop right outside the house, stops at Footscray station, North Melbourne and passes Lonsdale and Queen St in CBD. 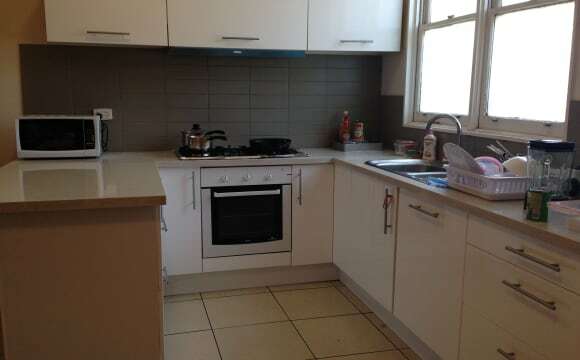 - 15 minute walk from Tottenham station Shops: - 5 minute drive from Central West Plaza: Coles, Aldi, Australia Post - Shop and café nearby Note: Pictures show room is not furnished, but room will be furnished. Just in front of the train station only about 1 minutes walk to station, and it only take you 4 stops to the city only took 14 minutes to Melbourne center. Safe and convenient area to live One bedroom available in three bedrooms house! The house has 3 bathroom and 2 shower. Kitchen with gas cooking and dishwasher and concreted backyard with shed. Features include ducted heating and floorboards throughout, split systems heating and cooling in living room, also off street parking for 2! We are looking for a reliable and respectful people that want to live in a home not in a party house. To share some house cleaning routine and keep the place clean and good condition at all time. 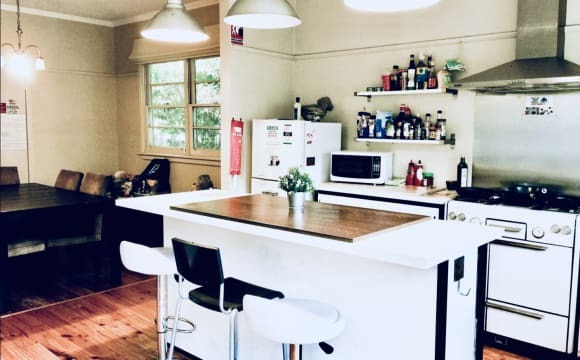 The house is just minutes walking to the station, This place is perfectly ideal for someone love quite environment studying or working in Melbourne - The house Just in front of the West Footscray station. only 4 stop take 14 min to Melbourne center. 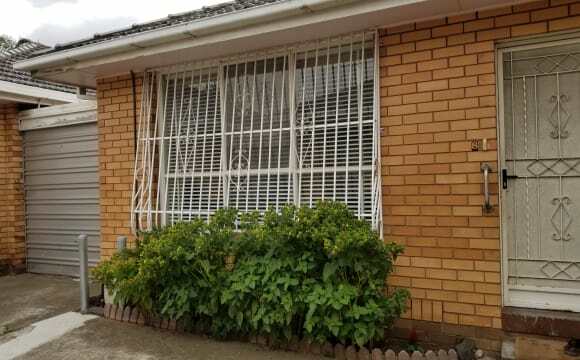 - There will be ONLY 3 PEOPLE including you living in this 3 bed 2 bath house. 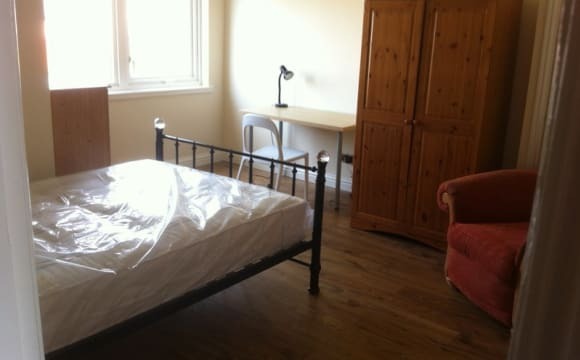 - The place is in a great condition with all new furniture (Queen size bed) - NO one in the living room to stay, NON smoker, NO drug.NO Pets - 10 Cross St Footsray 3011 - 250 per week including the bills (Gas and Electricity) (Text Only) Please contact to organise an inspection. Kindly send me your nationality, age, what you are doing in Melbourne and etc. I will look forward to hearing from you. Please do not hesitate to contact and ask me questions regarding the house. Welcome to the relaxed, beach feel home! A home with character for easy going creatives, students, professionals or travellers. Currently myself and two great gals that just moved into 2 bedrooms. 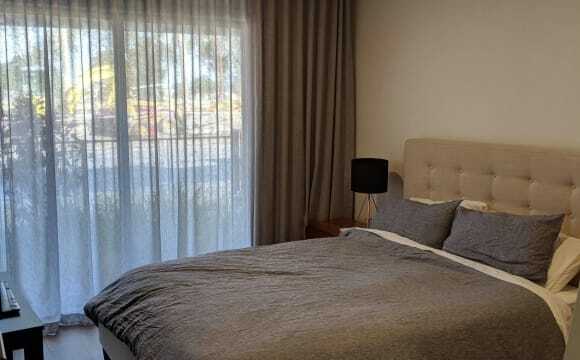 Situated at Cruickshank Park, at the quieter side of Yarraville, the home offers 2 bathrooms, and furnished bedrooms. Art deco home with Central Heating to keep everybody warm. 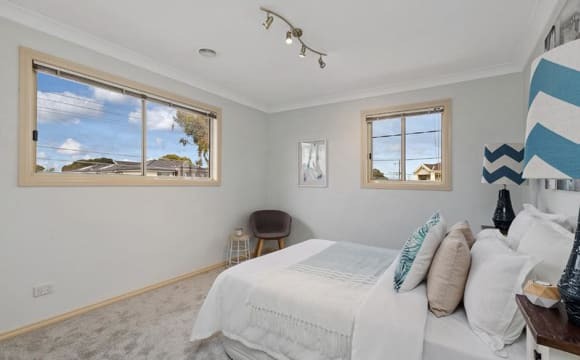 Either large bedroom with curved window and brand new queen sized bed with quality new mattress($210pw) Or smaller bedroom with king single bed and bay window($190pw). Both furnished. Short walk to local Cafe, Chemist, Liquor store, Milk Bar, 7 Eleven, Hungry Jacks, Charcoal Chicken, Pie and Pizza shop etc. Off street parking for your car. Smoking only outside the home. 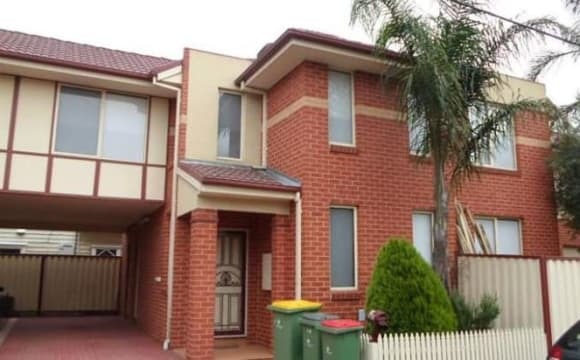 Housemate hunt for this inner west RESORT (!!) I've just been approved of this beautiful house! Bond is paid, pick up the keys next week. Can't wait to move in. Just look at the photos and you can see that this place is an absolute BEAUTY! Seddon shops just around the corner, beautiful parks, cafes a'plenty and West Foostcray Station, all within 1km from home. Bus stop literally out the front door. BP Service station across the road for those late night chocolate cravings and Seddon Station only 1.3km away. 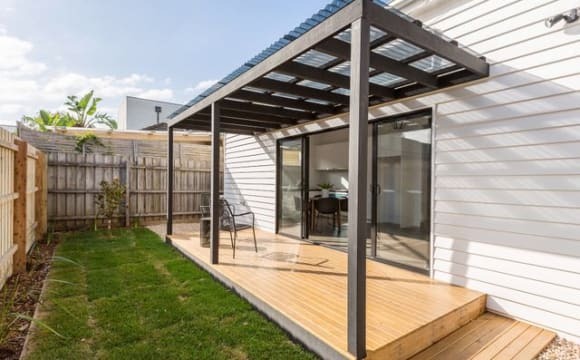 Yarraville village just 1.6km away for those Sun Theatre sessions and a pool in the backyard with maintenance included in the rent. Bedrooms with gorgeous fireplaces, high ceilings, floorboards, heating and cooling units, dishwasher and 2 toilets. Open plan living and dining and plenty of natural light. Newly renovated and an absolute dream. Photos shown are not mine, and belong to the real estate. IDeal Location, 4 min walk from station and bus stop 8 min walk from Victoria University Footscray Campus and Footscray Market. 8 min drive from city Melbourne CBD. Note that this is a 2 bedroom house and only 1 room is available as I will be in the other room. $220 a week for 1 person $270 a week for 2 people Hello House Hunters, Come Live in Sunny and Quiet Maidstone. Trains 25mins to Melbourne University and RMIT 15mins to CBD/Southern Cross Station 5mins to Sunshine Station. 5mins to Footscray Station. Buses 30mins to Melbourne University and RMIT 20mins to the City. 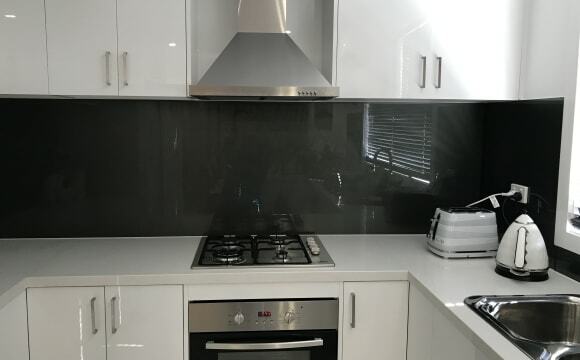 10mins to Victoria University 10mins to High Point Shopping Centre 10mins to Footscray Market/Footscray Train Station 5mins to Footscray Hospital This Beautifully Located home is fully furnished. Furniture includes LG 450Litre Fridge, freezer at the bottom - Very big fridge for all your food and drinks Samsung 7.5Litre Front Loader washing machine to keep your clothes in good condition 3 Seater Sofa 4 Burner Gas Stove 6 Seater Dining Table with Cushioned Chairs Queen Pine Wood Bedframe Queen Spring Mattress Includes standard kitchen items such as Pots, Pans, Cutlery, Cups, Plates, Kettle, Microwave, Ricecooker etc. Very spacious living area Floorboarded dining and living area Carpeted bedrooms Tiled bathroom Lockable bedrooms Unlimited Internet As you can see, the house is already fully furnished, but if you've got something you would like to fit in and add to the home, pls just ask :) happy to accommodate. Central heating throughout living, dining and bedrooms keeps you nice and warm and the house stays very cool during the summer with a split system aircon in the living area. There is also a large private courtyard in the back to hang your clothes as well as a grassy front yard with a grapefruit, nectarine, and apricote tree. Free fruits :) Off-street parking also available for your vehicle if you have one. Easy access and close to transport, local cafes, bars, restaurants and the City. Safe and friendly community. Internet, electricity, netflix/foxtel included. Gorgeous Edwardian 3 bedroom and 2 bathroom home. Massive open living room with bi-fold doors out to the back decking. Central heating and air conditioning. Designer bathroom with double basins. Fully equipped kitchen with walk in pantry and island bench top The house is mostly furnished, with the exception of the bedroom. The house is amazing to live in! 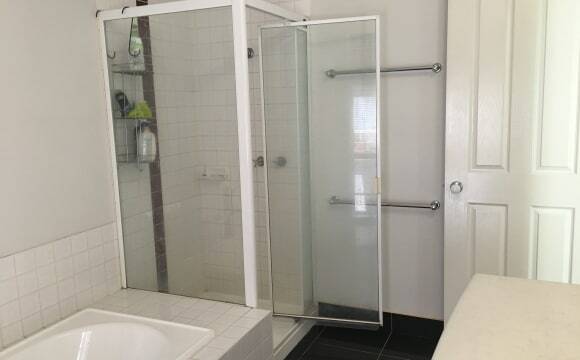 It’s in a great location in one of the premier tree lined streets in Yarraville. 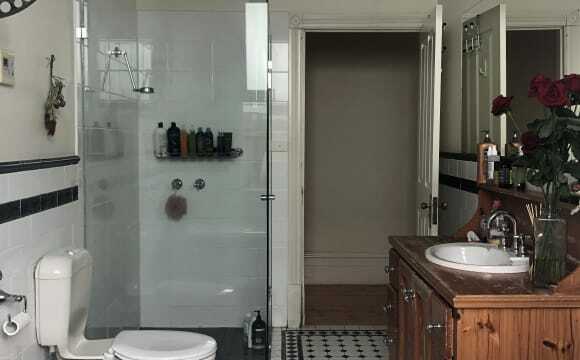 Walking distance to both Yarraville and Seddon train stations both only a few stops from the city. There are also great cafes and restaurants to choose from in the area. The available bedroom is a double sized bedroom approx. 3.6m x 3.6m in size with decent size built in wardrobes. Will easily fit a queen size bed with bed side tables, chest of drawers, book shelves and/or desk. The room is unfurnished. Bathroom will be shared with another one of our housemates. 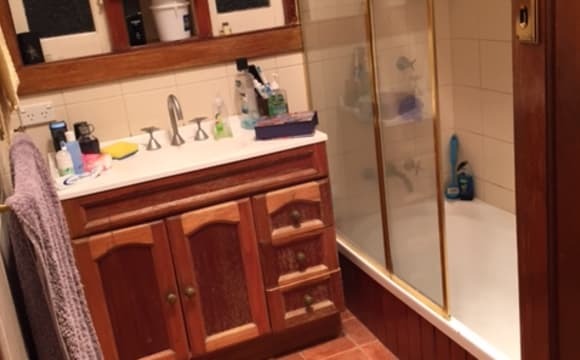 It is a double sink bathroom so plenty or room, plus large shower and free standing bath. Toilet is seperate to the bathroom. 2nd bathroom is an ensuite attached to the main bedroom. There is space outside for entertaining, including a bbq. Whilst there is an outdoor setting there currently, we are looking to get a new one in the near future. 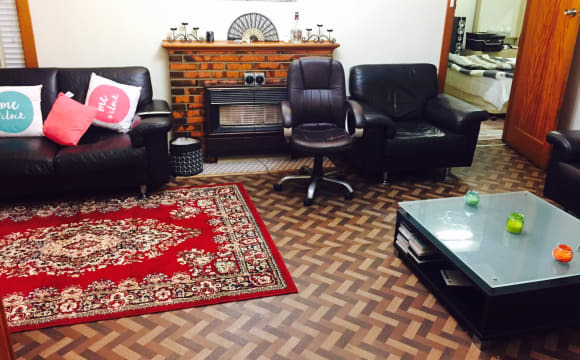 Please note: these are the owners photographs just after he did some renovations a few years ago, there is no spa anymore and we have furnished the place a little more. 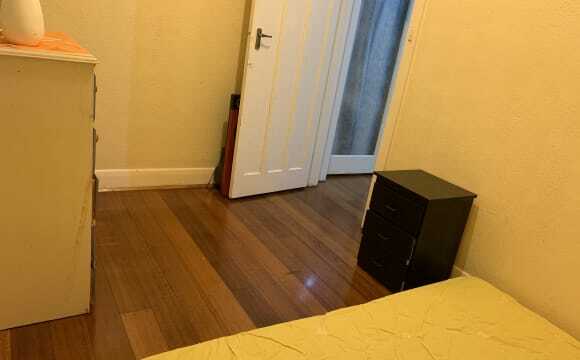 Bright, clean, private room in a Footscray apartment, 20 mins to the city centre. With access to shared bathroom, full kitchen, and living room. Good location, Multicultural eateries/Restaurant, walking distance to Footscray train station, tram, bus, Footscray Market, Victoria University, Footscray Park, Footscray Art Community Centre..